Chicago, Illinois – February 7, 2019 – Nationwide tax specialty firm KBKG recently promoted industry veteran Lester Cook to Principal. Lester leads the firm’s Midwest practice, including a team of engineers and specialists based out of the firm’s Chicago office. Lester joins nine other principals on KBKG’s leadership team. His primary areas of focus are fixed asset review and cost segregation. 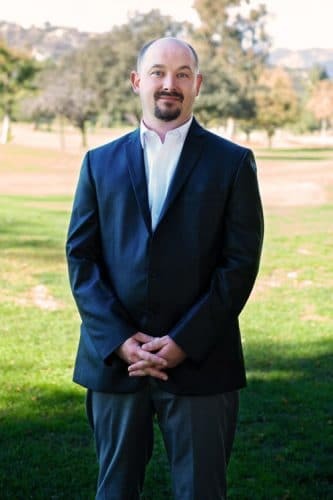 He has nearly 20 years of experience assisting CPAs and businesses throughout the country with their specialty tax needs including Cost Segregation, R&D Tax Credits, Green Building Tax Incentives, and more. Additionally, Lester is a Certified Member of the American Society of Cost Segregation Professionals, an organization that requires members to adhere to a strict code of ethics and standards. As a nationally-recognized speaker, Lester regularly presents at the American Society of Cost Segregation Professionals National Conference, Michigan CPA Society Conferences, and is also a published author with features in Accounting Today. As an active member in the community and long-time resident, Lester frequently volunteers for organizations such as “Windy City” Habitat for Humanity and other non-profits dedicated to the development and maintenance of affordable housing for the city’s residents. “Lester brings a lot to our team, he has outstanding tax technical knowledge, he understands client’s needs, and he possesses a unique mix of passion for both client service and training. He has done a spectacular job of building the Midwest practice into an amazing team of tax specialists in just 4 short years,” said Malik Javed, KBKG principal and leader of the New York practice. 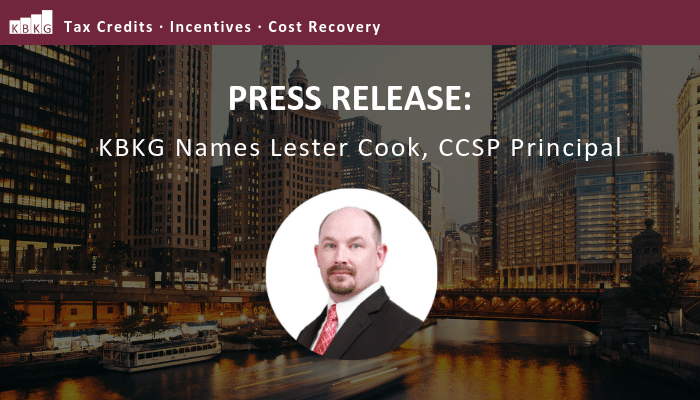 Learn more about Lester Cook, CCSP and KBKG Chicago.